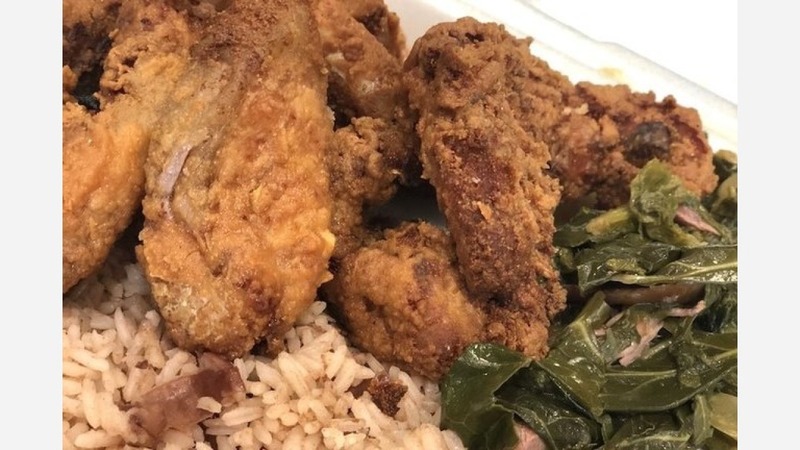 A casual eatery that specializes in Jamaican cuisine and soul food has opened its doors in the neighborhood. The new addition, called Da Jerk Pit, is located at 2430 Main St. The kitchen is helmed by executive chef Okine Dacres, who is serving up everyday specials like the Da Jerk Pit burger with fries, jerk pork with bread and jerk chicken wings. Other menu items include oxtails, red snapper, curry goat and fried catfish. Round out your meal with fried plantains, steamed cabbage or mac and cheese. With a 3.5-star rating out of 10 reviews on Yelp so far, the new arrival has gotten a fair response. Jamie S., who was among the first Yelpers to review the eatery on June 8, wrote, "While they are a new business and still working out the kinks with timing, their main priority is serving hot, fresh and delicious food to every customer who walks through their door. Prices are very reasonable, staff is very friendly and keeps everyone informed of wait times." And Allie P. wrote, "Delicious! This food is made with love. It tastes just like someone's grandma is in the back singing gospel songs while she's cooking it. There can be a wait but trust -- it's worth it!"